Wholly Smokes! 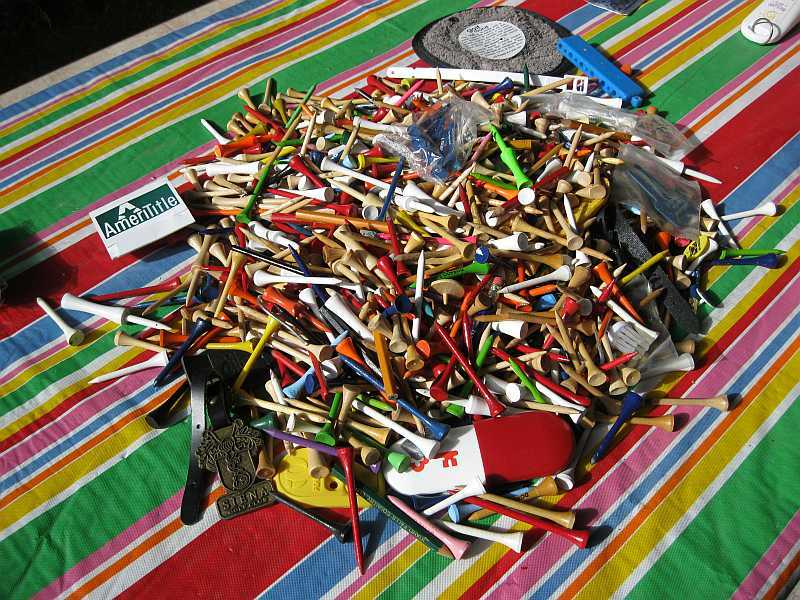 Susun dashed off to a nearby yard sale and returned with a lifetime supply of golf tees...all for a mere one dollar. Now Terry, Carrie, Susun and I will never want to tees again as long as we all shall live. Who hoarded all these tees and why? We shall never know but we shall always wonder. What a great way to start another fine Saturday. THANKS, Sweetie! We could have sent you that for free!